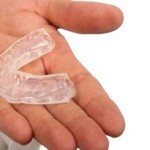 There are hundreds and thousands of ways and products introduced to help get rid of snoring. This device is one of them. It is a special small sized product that fits into your nostrils and help clear passage of air through your nose. It comes in two pieces, one for each nostril. it is known as snoring pin. – Pre curved design that best fit into any nostril size. – Slits present on the surface that prevent passage of air particles within lungs. – made from anti allergic polyurethane. – Two pieces of anti snoring nose pin comes in a package. 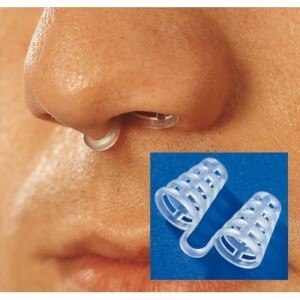 Anti snore - Anti sleep apnea nose pin. Most of the customers appreciated its low price. 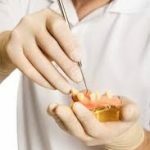 It is proved very effective in those snoring cases in which cause of snoring is nasal obstruction. It prevents dry mouth problem as it is not a mouth piece. 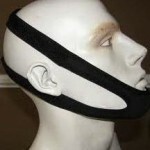 Snore pin Work as anti snoring as well as anti sleep apnea product. Its design prevents dust particles from entering into lungs. Most of the customers complain of its diameter. It might hurt in the beginning until you get used to its material. It slips out of the nose at night. Just two days money back guarantee annoy many customers. 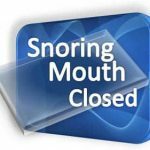 Are there different sizes of Snore Pins ?